Following two sell-out runs at Sadler’s Wells, the smash hit international music and dance sensation INALA makes its West End premiere at the Peacock Theatre. Presenting Triple Grammy® Award-winning choral legends, the Soweto Gospel Choir, with multi award-winning choreography by Mark Baldwin OBE and featuring current and former members of The Royal Ballet and Rambert, INALA delivers an exhilarating fusion of South African and Western cultures live on stage. INALA’s original score is composed by four-time Grammy® Award-winning choral stars Ladysmith Black Mambazo, Joseph Shabalala and Ella Spira, blending the intricate rhythms and infectious harmonies of their native musical roots with live percussion, piano and strings. 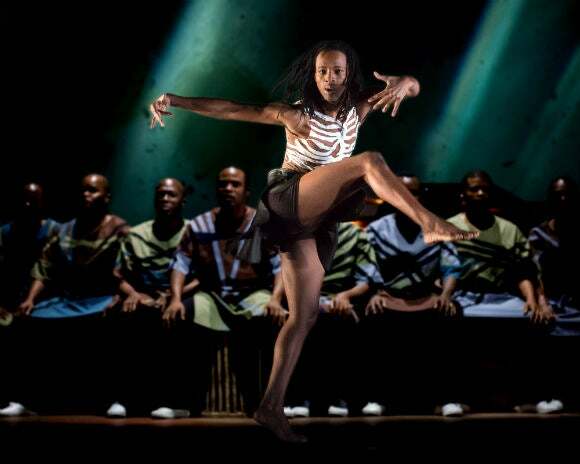 Mark Baldwin’s choreography unites Zulu traditions with classical ballet and contemporary dance, performed by an exceptional company of 26 dancers, singers and musicians. INALA delivers a spiritually uplifting live experience, powered by a cultural explosion of music, song and dance, not to be missed! 'IRRESISTIBLE' ‘A MASSIVE HIT' ‘STUNNING’ Evening Standard Daily Telegraph The Independent'A DYNAMIC MARRIAGE OF DANCE AND CHORAL MUSIC’ The Guardian‘TREMENDOUS FEEL-GOOD ENERGY. 5 mins walk from Holborn Tube Station. From Twyford Place, turn left on to Kingsway for 300m, turn left on to Portugal Street and the theatre will be on the left.